NOW ON DEMAND: You do not want to miss this important discussion of successful Restorative Justice programs at Walmart stores. 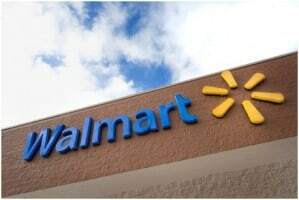 This webinar session outlines the effects of a First Offender Restorative Justice program implemented by the Arlington, TX, police department in partnership with local Walmart stores. During the session, which was originally held June 8 from 1:00-2:00 p.m., Kevin Kolbye, assistant police chief and retired FBI special agent senior manager, discusses how this program saved his department thousands of labor hours with a 38% reduction in calls to the Arlington, TX, police department. Paul E. Jaeckle, senior director of asset protection strategy and solutions design for Walmart Stores, U.S., and Kellen McWhorter, life coach from Corrective Education Company, outline the details of the First Offender Restorative Justice Program and provide real-life examples of offenders graduating from the program and the societal benefits of a second chance. Check out Dealing with First Offenders.